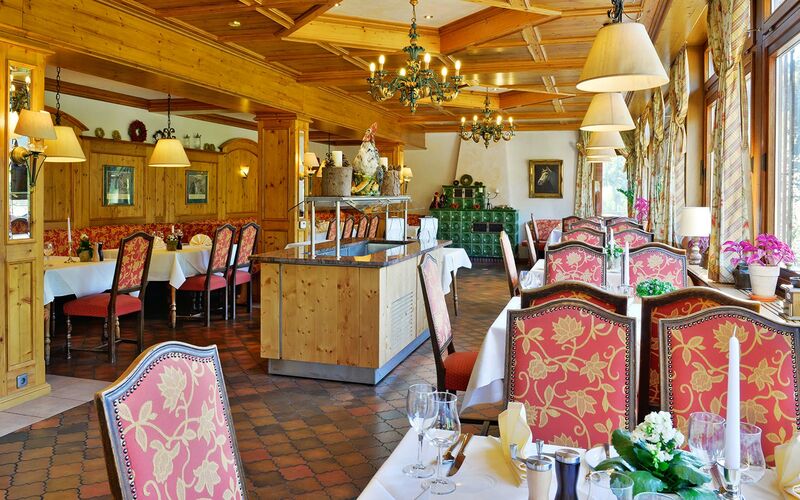 The Mönchs Waldhotel offers the discerning palate and culinary beginner a wide selection of the most delicious dishes from the Northern Black Forest region. 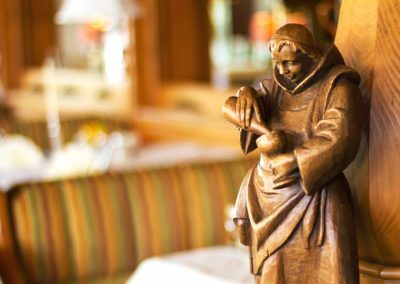 In addition to grandmother’s traditional dishes, our chefs also look far beyond the local culinary horizon and discover and try out new combinations. The hotel is a member of the Naturparkwirt organisation and we place a great deal of importance on using regional produce. 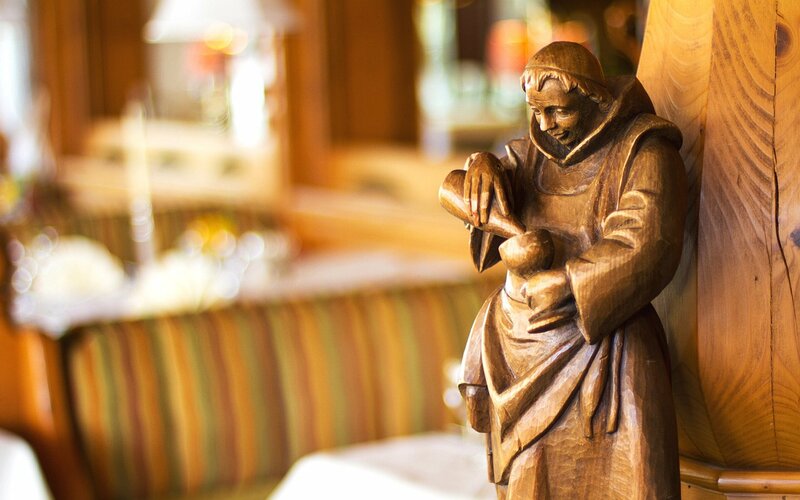 As our guest you will always find 6 dishes on our menu that were created exclusively with regional produce. 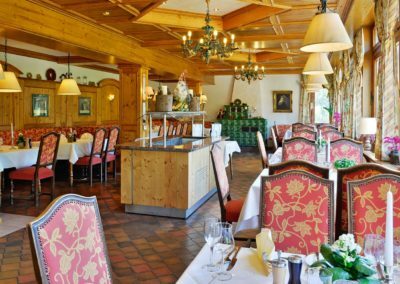 The Mönchs Waldhotel restaurant is also a member of the esteemed group “Schmeck den Süden” which means “taste the south” and this is a very special recognition for our regional menu, as well as increasingly becoming a reason why many guests who place a lot of importance on sustainability choose to stay with us. Immerse yourself in the culinary world created by our skilled kitchen team and enjoy our seasonal and regional menu of the month. Delicious and refined foods beautifully presented on the plate – gourmet cuisine at a very affordable price. And to go along with your meal, enjoy a quality wine produced by young local winemakers. Subtle, fruity and surprisingly clear wines from young winemakers who are well removed from the influence of the large wine-making companies as well as being full of ideas and a willingness to experiment. 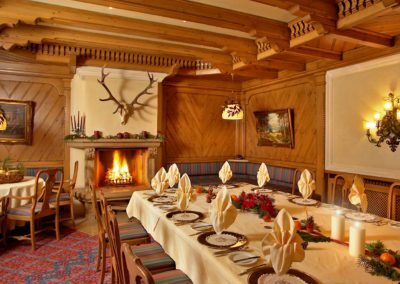 Crackling open fire, rustic wood paneling and deer antlers make this room a traditional Black Forest experience. 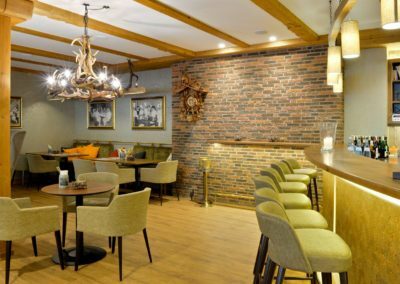 Enjoy your meal, the delicious specialties of our kitchen, in the cozy atmosphere. 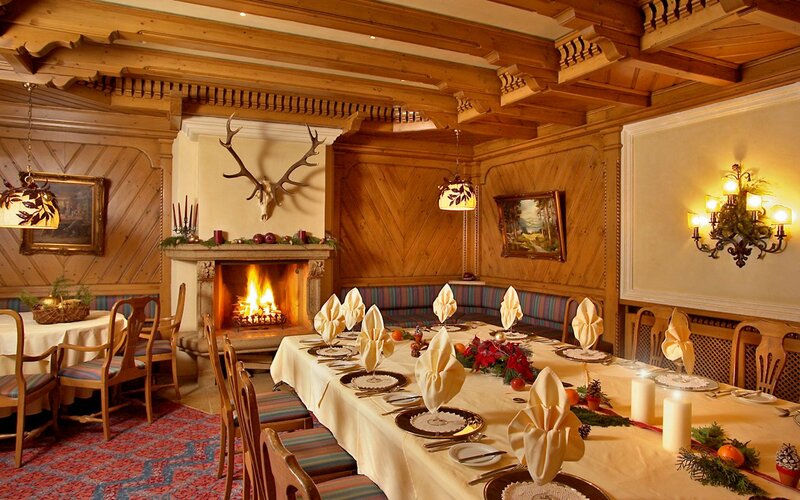 Here you can enjoy pleasant evenings at our crackling, warming fire with up to 30 guests. 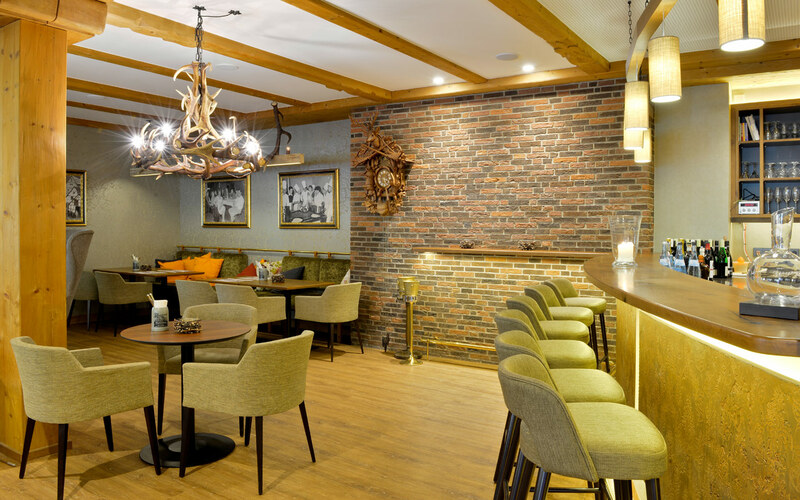 Welcome to the heart of our restaurant, the Mönchstube Lounge Bar. At the entrance of the octagonal space, you are welcomed by a little guy who, just like the Mönch family, gives his name to this fine lounge. The large window front opens to a wonderful view of the countryside – you almost feel you are sitting in nature. Something would just be missing without it: the pleasant Schwarzwaldstube Lounge Bar Spruce wood and the tile stove are the epitome of the Black Forest cosiness. You can also retreat into small niches to enjoy a gorgeous view of the countryside while being pampered by the culinary specialties of our kitchen. In fine weather, you are warmly welcomed by a large sun terrace to enjoy the unique natural surroundings of the Black Forest. Enjoy your breakfast, lunch, or coffee and cake complimented by the warm sunshine or spend a romantic summer evening by candlelight. Allow the sun to flatter you inside this exclusive winter garden or enjoy it by night looking at the romantic starry sky. Nothing becomes a daily routine here: Designed in the style of a French orangerie, various styles are flowing together forming an impressive, light-filled space. Beneath its imposing wrought iron chandelier, up to 60 guests can have breakfast, coffee or a delicious dinner in a relaxed atmosphere. Upon your request, a BBQ can be organized at our lava stone grill. Through its direct access, one single step separates you from the sunny terrace where you can enjoy our specialties.